Hello! 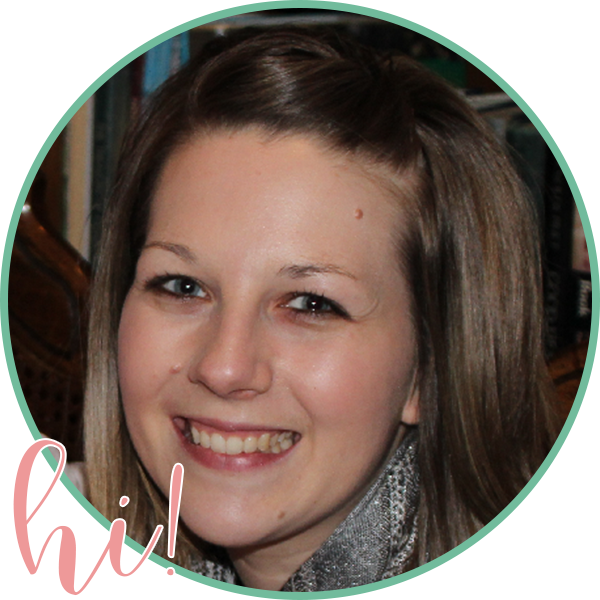 Today, I have a quick back-to-school freebie to share with you! I'm not in the classroom this year because I'm soaking up another year at home with my own kiddos. 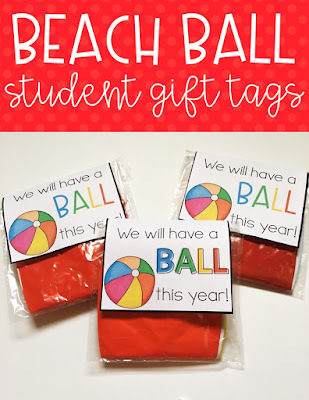 But I'm always on the lookout for fun ideas for your classroom! I always had a small and fun student gift at each student's seat for Meet the Teacher Night. I know that there are never enough hours in a day in the week or so before school starts, so I always needed something that was quick and CHEAP! 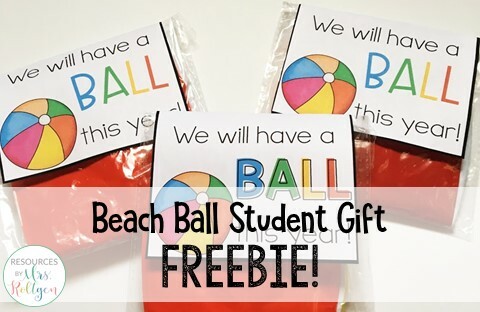 I ordered this 12-pack of these beach balls from Amazon and although they're definitely not the 12-inch size as it says, I still think they would make awesome student gifts! I would guess they're more around 7-8 inches in diameter. Anyway, there are 12 in a pack for $7.85 and they're individually-wrapped, which makes them pretty decently priced and the perfect student gift! I made a color version of the gift tags and a black-and-white version, which you can print on colorful paper like I did in the picture above. There are two versions, each with a slightly different font style. You can use any beach balls that you want, or you could use a different type of ball altogether, like a jumbo bouncy ball, etc. 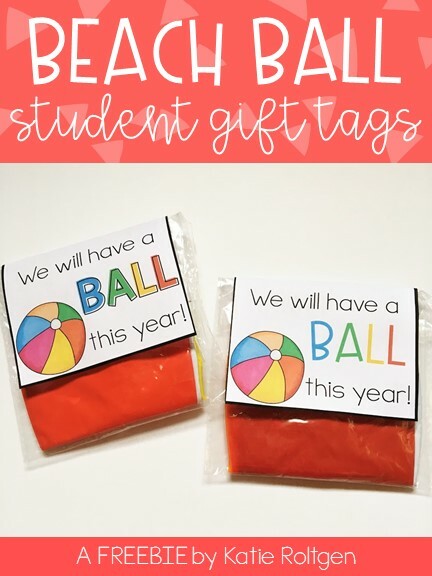 You can grab these FREE student gift tags by clicking on the image below. I hope you find them useful! ***Affiliate links are used in this post. Thank you for supporting my blog!